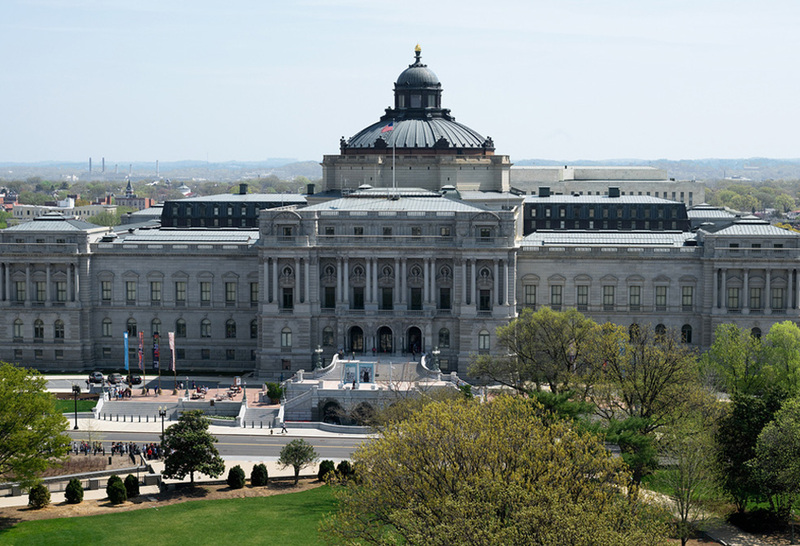 The Thomas Jefferson Library of Congress in Washington, DC is one of the largest national libraries in the world. Before this building was constructed, the Library of Congress was housed in the U.S. Capitol’s west center building, but it eventually outgrew this space. In 1886, it was decided that the library should have its own location. 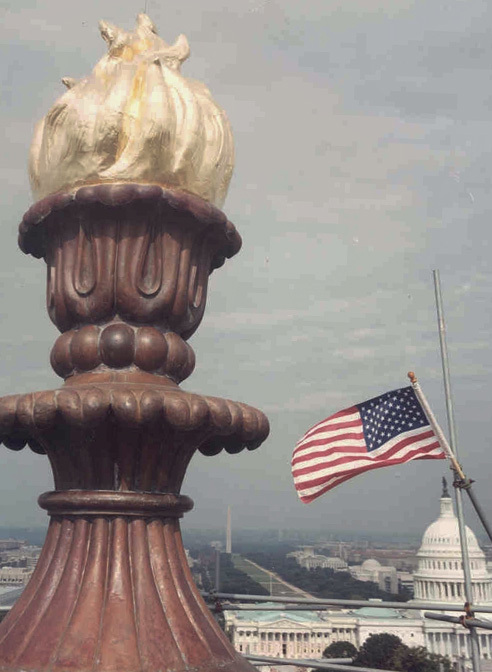 In 1897, the new Library of Congress building was completed. 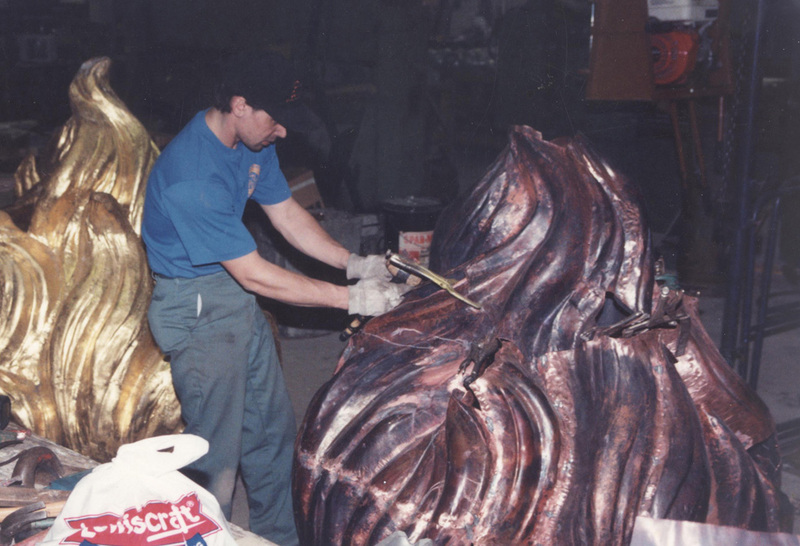 At this time, it was the largest and more expensive library building in the world; its design incorporating many luxurious materials such as marble, granite, bronze, gold, and of course a tremendous amount of decorative copper work. 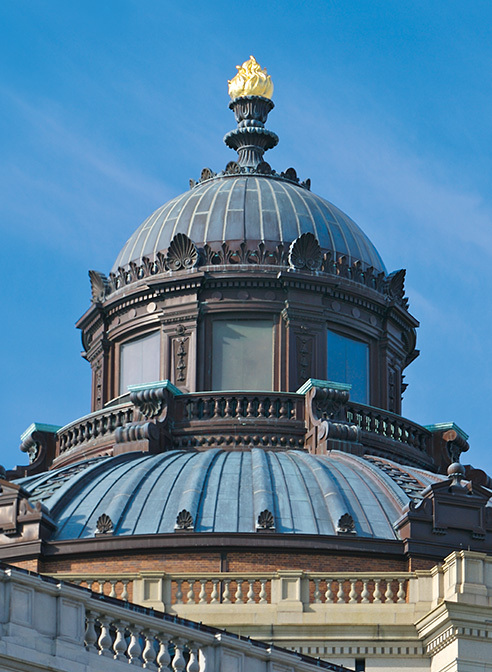 Over time, the copper cupola and main dome which covers the central reading room began to age and deteriorate. 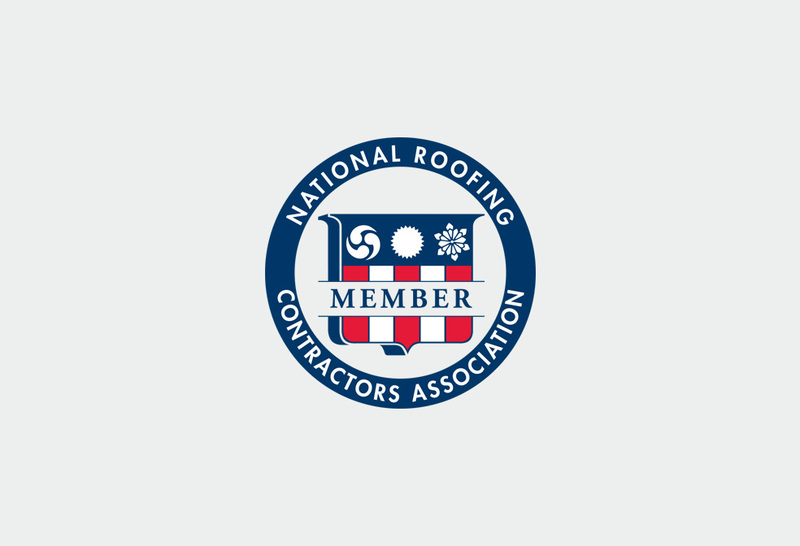 More than 70 sheet metal contractors were approached to handle this historic restoration project, but Heather & Little was ultimately awarded the job. 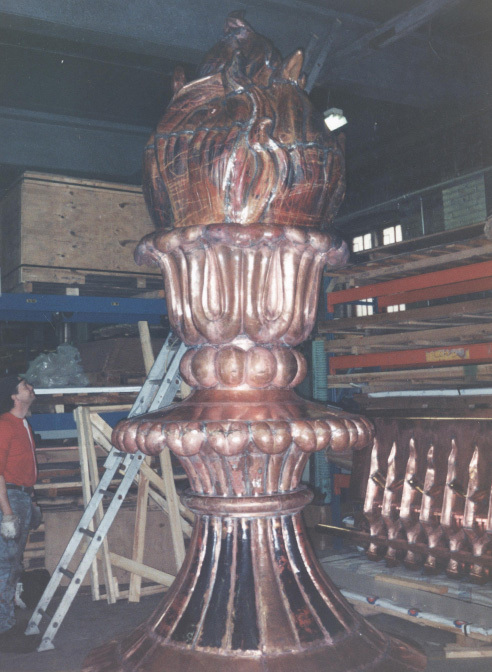 Along with James Myers Co. of Maryland, our team worked to replicate the pressed ornamental copper stampings, decorative sheet metal elements, cornice for the building’s main dome, lantern, and “Flame of Knowledge” finial. 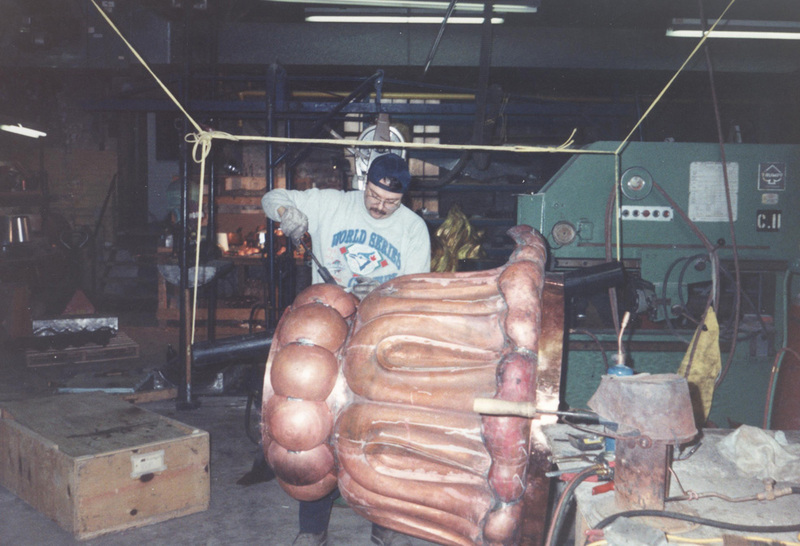 Using sheet metal copper and a combination of traditional and modern techniques, our craftsmen carefully reproduced the original ornamental features of the distinctive dome atop the Library of Congress.